Are you looking for an effective video making or editing software tool that can help you enhance the impact of your online business promotional campaigns and boost your CTR or page conversions? Online videos have no doubt become the new trend in digital marketing and anyone who needs or wants to effectively maximize their sales online should have a video editing software program that can help them create high-quality stunning convertible videos. Is there such video creation tool? How much does it cost? What are its specifications? As you probably know, the market is flooded with different video making software products. Are you wondering which one you should choose? To help you out, in this article, we will review three legit video making and video editing software tools and discuss their distinctive features. We present you our review of Viddyoze 3.0, Vegas Pro and Final Cut Pro. Viddyoze 3.0 by Joey Xoto is an excellent premium video software and a perfect innovation for its predecessor Viddyoze 2.0. Viddyoze 3.0 is a commercial application software that allows users to assemble Live recorded images and 3d animations by following a completely automated process and by choosing from more than 170 customizable templates. Viddyoze is a cloud-based video making software that helps you create A-class videos: video intros, outros and even logo stingers, you can do anything with Viddyoze. With this software, you can incorporate images into your videos and create beautiful links and interaction between them… as a result you can significantly enhance the impact of any video project. Simplicity is power. Simplicity saves you time. Simplicity leads to excellent results. Viddyoze’s intuitive UI leads to that simplicity. To create a high-quality video all you have to do is choose a template, choose your text and images and then… render. This process is as simple as copy and paste: you don’t need to have any special digital skills or technical knowledge to use any of the Viddyoze products. Viddyoze is a top recommended software for a newbie: Viddyoze proves that users don’t need to be website designers or pros at computer graphics to produce and share quality online videos. If you can handle basic computing, you can create amazing professionally-looking video animations with Viddyoze. Cloud-Based platform: Does your computer have all the great specs in RAM and ROM? If you are like most users, perhaps it doesn’t. Are you concerned about all the processing power that would be required for the making of a single video? Well, Viddyoze has taken care of this issues. The software is cloud-based so you won’t be installing any heavy software on your computer. A set of 170+ templates: A concern people have about using a software for their videos is that they end with the same monotonous videos when they have to work on multiple projects. But this isn’t the case with Viddyoze Live Action. You have a rich pool of templates to choose from and this means that you can make many unique videos. How unique? How many such unique videos can you create? The Viddyoze Template Club offers over 170 top notch quality video templates that cover a variety of niches that you can choose from. Pricing: How much does Viddyoze cost and what is the monthly cost to use it? Those are all some good questions. Viddyoze comes at a single fee with an upgrade feature that has a monthly subscription. You can tailor your needs to your fit. If the aforementioned features sound good to you, then the single fee is worth every penny. and if you are one that desires more, then you can also opt-in for the upgrade thus making the pricing affordable for both a beginner and a professional. 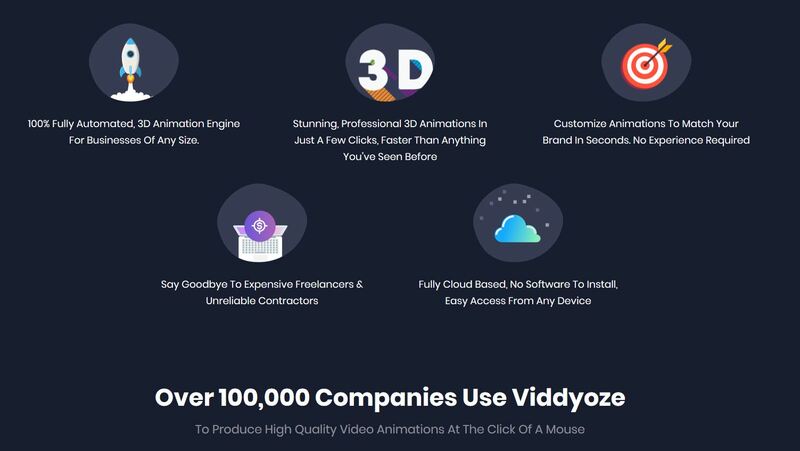 Viddyoze is an animation-creation engine that is nothing like the other video making and editing tools for creating animations that you have seen on the market. Viddyoze is an incredible platform that enables you to create different types of video elements to add to your videos. It isn’t surprising then that it has quickly become the fastest growing cloud-based application for creating custom intros and logos for your videos. The newest version Viddyoze 3 also creates automated alpha video animations. If you decide to choose this video creation software, you can read more about its feature and packages by clicking here. 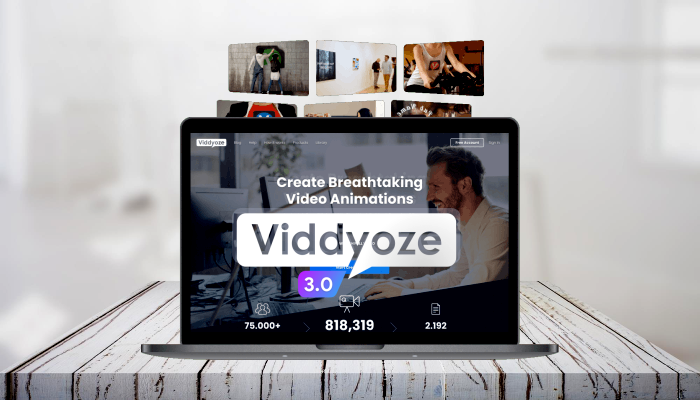 Viddyoze will put you on the cutting edge of video animation. Vegas Pro 16 is a video making and editing software tool that enables you to create and edit videos and audios with ease as a PRO. It boasts a wide range of amazing features that ensure that your videos are of the highest quality possible. Vegas Pro 16 allows you to create multiple unique videos as well. Launched on 27 August 2018, Vegas Pro 16 has some new features, such as backup of files, movement monitoring, enhanced video stability, 360deg edit and HDR support. Generally magical Vegas Pro is a good tool to create high-definition 3D home videos. In-built effects: the inbuilt effects seem to be the favorite software feature of many users. They can help you create high-quality videos and audios which can be perfect for commercial usage: for marketing online goods or services. Vegas Pro can help you deliver your message in a creative way. Growing online presence: You can use different plugins with Vegas Pro that can help you improve the entire functionality of the software tool. But does it need improvement? Yes, according to some user reviews. The Vegas Pro plugins are quite handy, especially if you want to be able to do more with the software and create more quality videos. We should mention that only some of the plug-ins are free; you might need to plan your budget well if you would like to purchase some really cool ones. Free YouTube tutorials: one of the concerns that people have about creating videos with professional software like Vegas, Viddyoze or Final Cut Pro is whether they would be able to use it if they are newbies in video making. Rest assured, if you get Vegas you have tons of video tutorials at your disposal that you can watch on YouTube. Moreover, Vegas features a powerful (again easy to use) frame by frame editing feature that is liked by both newbies and experts. Vegas supports a wide range of video, audio and image files and includes the import of consumer and professional cameras and exports to Web and various portable player sizes. Pricing: Vegas has a 30 day trial period which allows you to test the product and see what it can do for you before making a purchase. According to online reviews, Vegas seems… no, no… let’s be more accurate with words here – Vegas Pro is expensive! Many potential customers claim that they simply cannot afford the price, which for many is a huge letdown considering the fact that there are some other videos creating software programs that offer similar features and user experience at a much affordable price. If you want a product that gives you value on your dollar, maybe you would like to consider another product like Viddyoze instead. Moreover, the software has many advanced features: if you are not a professional video creator or editor, you might find them as a big stretch as you may not need them. Yes, Vegas is amazing for experienced video-makers and editors but we wouldn’t recommend it to users who are pursuing video making as a hobby. Final Cut Pro as the name implies is another PROfessional video editing software. 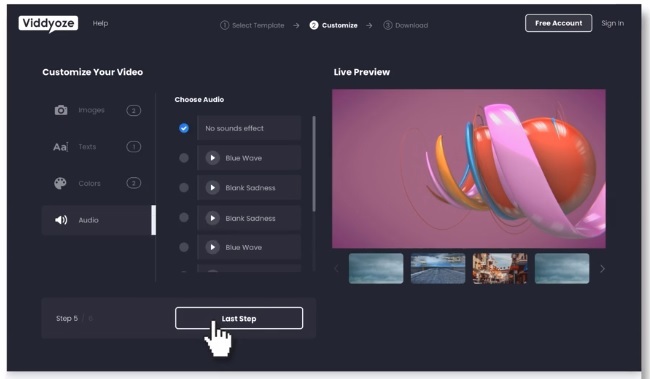 This software tool runs on Mac OS and features a plethora of powerful tools like motion graphics, filters, special effects, etc., all of which can help you create stunning high-quality videos. 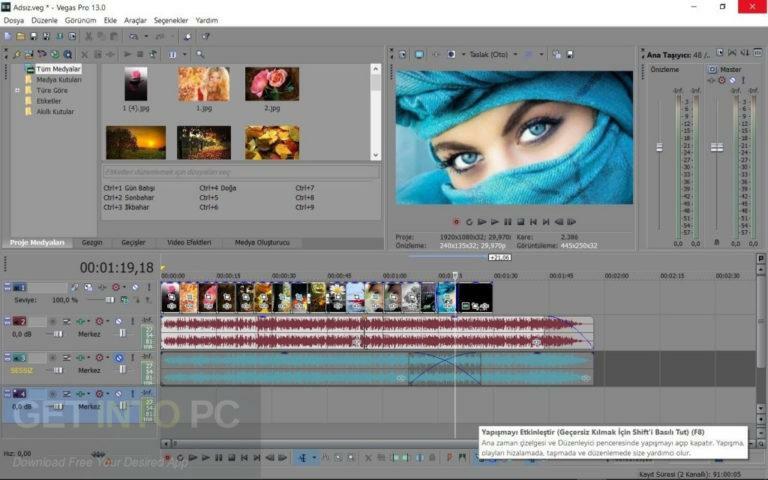 That the software works perfectly on a computer with a standard processor: you can edit and create your videos in a fast and smooth way without fears of hitches or glitches. 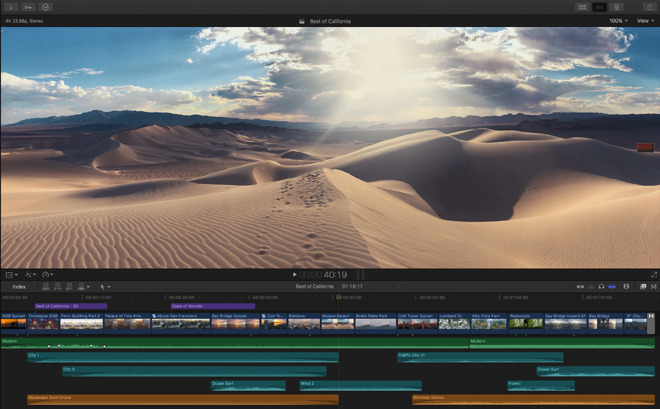 Flawless video editor: Final Cut Pro features a magnetic timeline which allows movie editors to move and trim videos in such a way that the entire clip is not unduly affected. Besides, the software operates on a strong processor so heavy and complex videos can be handled seamlessly. You don’t need a movie-editing expert: you can handle VR videos yourself. Final Cut Pro 360 degree viewer enables you to view your videos from almost any angle that you desire: you can not only edit your videos as a PRO but you can also apply special graphics and effects and incorporate stunning effects like moving texts, blurs into your videos. 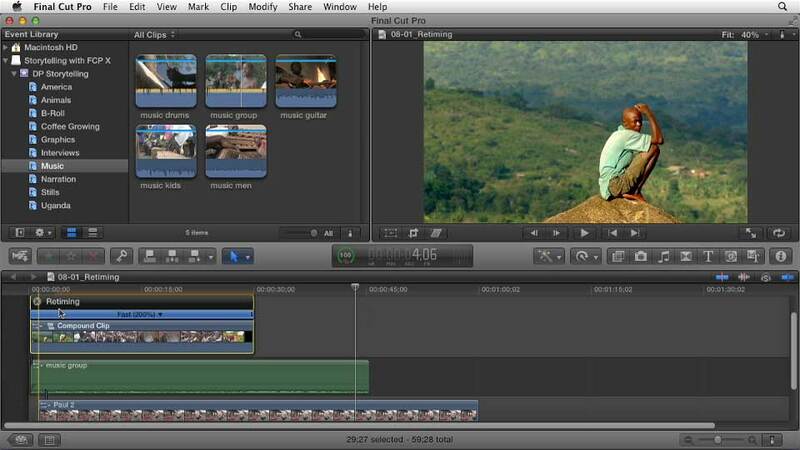 Organizing tools: Final Cut Pro also allows you to organize your video and audio in a distinct manner. This way you can easily access portions of clips or whole videos. With the Final Cut Pro you won’t waste time looking for a clip or a video to work on because all your clips will beorganized in such a way that you can easily get access to what you want when you want. The beautiful templates that come along with Final Cut Pro feature motion graphics, video effects, and filters. The package offers a template that can meet any marketing goal. What is more, you can always add new external templates and thus gain even more control over your video creation process. Thus you can also add more creativity to your projects. Sound Quality: Nothing speaks more of the video quality but the picture and sound quality. If you want to create professional videos, you need a software tool that provides quality sound for your video … otherwise, your risk creating a bad impression in your viewers. Truly, when it comes to sound quality – Final Cut Pro delivers. You can also enjoy some valuable additional software features that allow you to remove background noise and optimize the video sound levels. This means you do not need separate audio editing software which is awesome. Fast rendering: Final Cut Pro proves that its developers value time: the rendering and the uploading processes are fast, which we believe is awesome. Plus, the tool delivers your videos in a wide range of video formats. 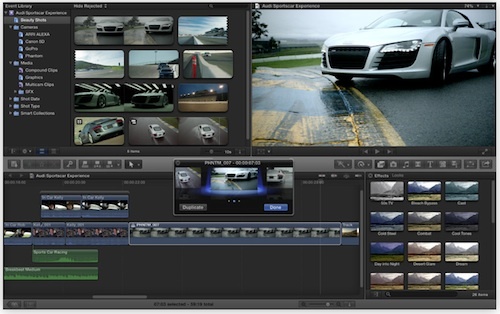 Final Cut Pro includes a complete set of tools to import, edit and deliver monoscopic and stereoscopic videos. 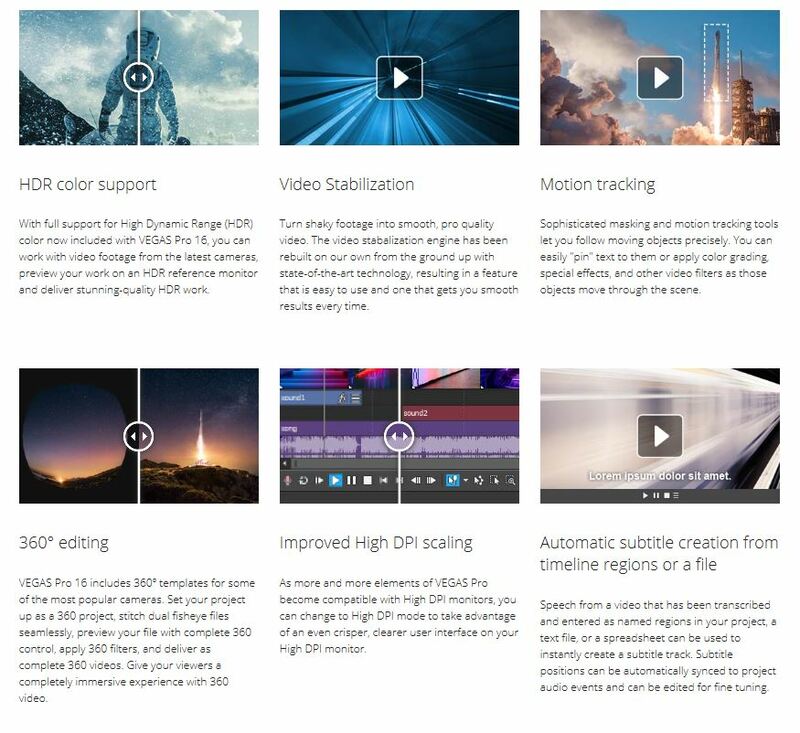 In addition, you can import, edit, review and deliver incredibly realistic images using HDR video with the Final Cut Pro software; you can add custom transitions, titles and motion graphics with thousands of third-party templates. Let’s be honest though, the program has some minuses that we should not disregard: yes – price and ….another major limitation according to some users is the fact that this software tool works only on Mac OS. Plus, unlike Viddyoze 3.0 & Viddyoze Live Action, Final Cut Pro doesn’t offer a cloud storage option. Is it the best professional video editing tool out there then? We doubt it. Viddyoze is our video animation software recommendation because it can help you create any kind of epic animated Hollywood style videos with your brand, text, images, and logo in just a couple of minutes. When you consider the fact that Viddyoze has bonuses like a viral video box, YouTube video mastery, a video rank alliance, a video marketing blueprint, and a smart video sales letters all thrown in upon purchase, you have more than one reason to opt for this software. You can read more about Viddyoze 3.0 and make a purchase by clicking here: Viddyoze 3.0 Offer. As a user, you will have access to more than 170 Live Action templates that are fully customizable and really stunning. With an average review rating of 4.5 out of 5 stars from over a thousand reviews online, you can rest assured that you have made a good decision by choosing Viddyoze – an extremely powerful video making and editing tool that can help you create miracles with your video projects. Curious to find out more? 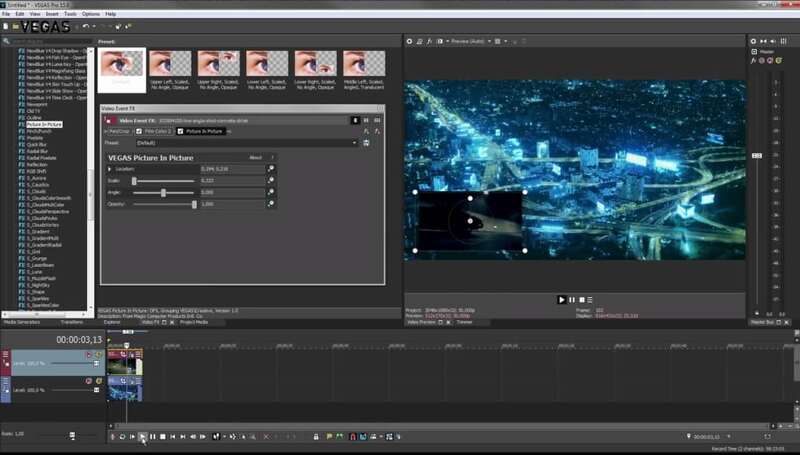 Head over to our Review of Adobe After Effects & Video Producer Pro.